The process starts with you contacting us to tell us a little about your business and your needs. 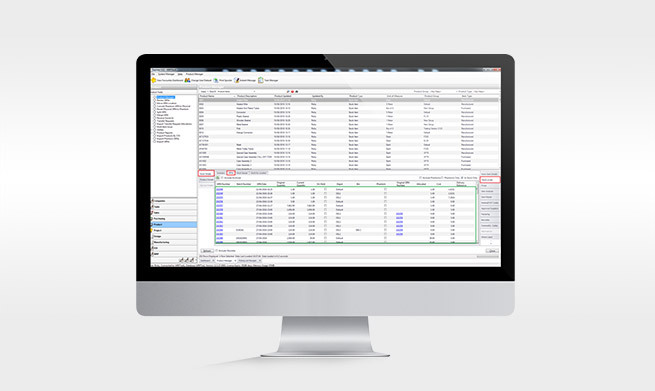 We can discuss whether Sapman v12 is a potential solution and arrange for us to visit you to further discuss your needs and offer a demonstration of the software. Based on that visit you may like us to leave a computer with you with the software loaded so that you may explore further at your convenience. Even better, we can have the software installed on your computer – a single user system is free and this allows for non-time limited evaluation. Additionally if you are a larger or more complex user you may wish to arrange a visit to our demonstration suites in Bristol and Loughborough to spend a day or two with the software with an expert to hand. Completion of the project – system review and GO LIVE! If Sapman v12 doesn’t work exactly the way you want it to then challenge us to make it work that way. Our customers use Sapman v12 because we made it work for them, exactly how they needed it to work. Continue to "Pricing and sponsored development"